On my weekly grocery shopping trip to Target last weekend something unusual happened. The normally overstocked produce was bare. 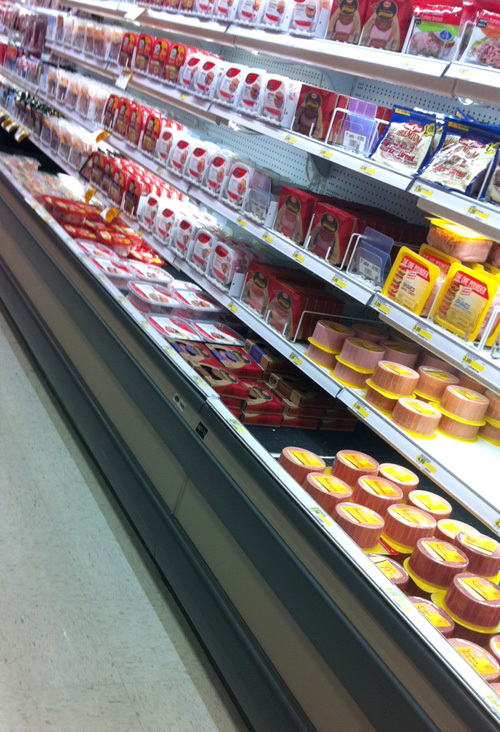 Everything that should be refrigerated, produce, fresh meat, lunch meats, dairy, eggs, was almost empty. Taped to the shelves was a note “Refrigerator outage. We apologize for the inconvenience.” The cashier later told me the refrigerator system went out and they had to throw everything out. That would make for a bad day. As I stood there in the meat isle, looking at the almost empty refrigerator cases, trying to figure out how to make my grocery list work…I realized something saddening. I take for granted the plethora of food right at my fingertips. What do you take for granted? READ MORE | 1 in 6 Americans struggle with hunger…and it’s not who you think. It’s time to get ready for Easter! Send your family and friends a beautifully designed “Christ is Risen” greeting card or postcard. Available in the shop.